Oh well, always next year. 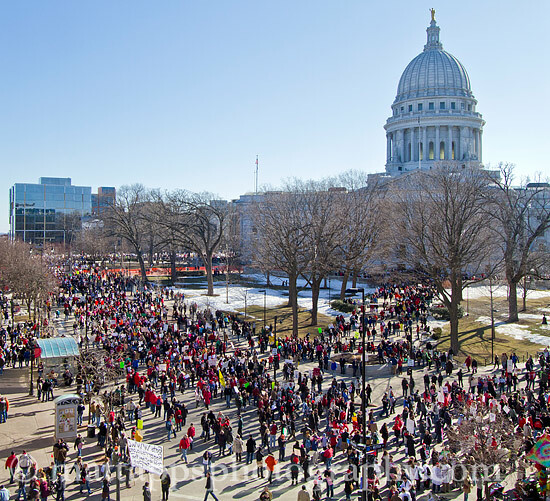 A lot has happened in Madison, Wisconsin the last week since Scott Walker announced the proposed state budget cuts, changes to state worker contributions to pensions and health care, and the limitations to collective bargaining. Since I’m doing my photo-a-day project, the protests made for some solid subject matter. I went down on 4 separate days and captured a number of photos in and around the Wisconsin Capitol building. I also covered the Tea Party Rally on 2/19/2011. Click here to check out ALL my photos from the protests.